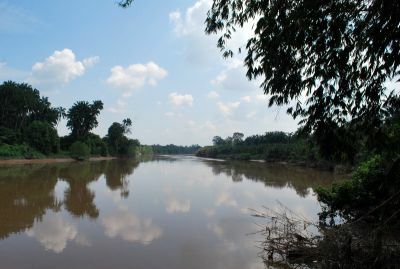 Selangor, Malaysia, Mar 3, 2014 - (ACN Newswire) - A simple test of electrical conductivity could be used as a parameter for water quality, according to new research published in the Journal of Tropical and Agricultural Sciences. The research investigated whether this single parameter could be used instead of the more complex current tests used in Malaysia to measure water pollution. The author believes the test should be included in the water quality index in the future. Currently, the Malaysian Water Quality Index (WQI) is based on six water parameters. This allows a lot of data to be broken down into six measures, but there are weaknesses, and it is certainly not comprehensive. The use of conductivity tests can inform of sulfate, bicarbonate, and chlorides of calcium, magnesium, and sodium in water, and is used in some still water lakes, but isn't currently used in running rivers. Yap CK, from Universiti Putra Malaysia, took nine periodic samplings at eight sites along the Malaysian Langat river, including both polluted downstream and unpolluted upstream sites. The results show that there are consistently higher levels of electrical conductivity in the more polluted downstream, and this was in line with two current measures - dissolved oxygen and suspended solids. Since it is much easier and faster to measure electrical than these two factors, its use as a single indicator of water pollution in tropical rivers is proposed.